All seed collectors, no matter the size of their collection, should try to gather historical and varietal information about their seeds. SSE's top Collection priorities are heirlooms with a history of being saved and shared within a family or community. Ideal donations are well documented and have a story with a clear chain of ownership and providence. The onset of spring has us dreaming about the vegetables that will fill our gardens during the summertime. But it is difficult to imagine summer’s bounty when your pepper plants are two inches tall and your onion stems are so thin you can barely see them. So why don’t we take a walk around a summer garden? The Seed Savers Exchange (SSE) Yearbook has been sent to the printer! If you’re a long-time member, the arrival of the Yearbook may be the most anticipated garden-planning event of the year. If you’re new to SSE, however, the term ‘Yearbook’ can be a bit perplexing, and may conjure up memories of unfortunate portraits and embarrassing club associations. The annual Yearbook is one way of accessing the Seed Savers Exchange, a network of gardeners, farmers, plant breeders and chefs who contribute to the most diverse seed exchange on the planet. Heritage Farm (where our staff maintains a permanent seed collection, sells seeds commercially, hosts events and publishes the seed exchange) is one part of this network. Each year, hundreds of SSE members put together a list of fruit, vegetable, grain, flower and herb seeds they have harvested and would like to share with others. These seeds are organized in a database that is available online (exchange.seedsavers.org) and printed out annually as our Yearbook. Entering thousands of open-pollinated plants into a publicly accessible database each year requires hundreds of hours of staff time. From September to January, SSE staff is busy pouring through lists of tomatoes, beans, squash, peppers, potatoes, watermelons, rutabagas, apples, peaches, kiwis, sunflowers, hops, hollyhocks and zinnias (and at least 200 other plant types). When these lists are entered, we have about a week to proof 500 pages of nearly 20,000 offerings. Since 1975, the Seed Savers Exchange has been connecting our members to one another through the annual Yearbook. All SSE members can participate in the seed exchange by requesting seeds (there are 13,000+ different varieties to choose from), offering seeds, or both. It is never too late to offer seeds; although the 2014 Yearbook is already being printed and shipped, the Online Seed Exchange is always open to new members and new seeds. The Seed Savers Exchange is one of the most resilient tools for preserving rare garden varieties. As a member, you have the opportunity to contribute to the seed exchange by growing your favorite fruits and vegetables, saving seeds, and sharing those seeds with others. To browse the exchange online, learn how to save your own seeds, request rare varieties, or to offer seeds yourself, visit exchange.seedsavers.org. Membership is required to log in, but educational resources are open to everyone. If you’d like to be a part of the exchange and receive the-500 page Yearbook, join SSE today. I understood the horseradish part, but for the longest time I was never quite sure of my Grandma Einck’s observation. The stride of a rooster—especially our bantams—isn’t much to speak of; it’s more like a baby step. But, as I’ve grown older, I’ve come to understand her wisdom. The shortest day of the year is December 21 (when the sun set this year at about 4:30 pm), but by the end of January it might stay light until 5:15 p.m. And of course, by the first day of summer, the days seem longer by a thousand rooster steps. One rooster step isn’t much, but a couple hundred rooster steps is the difference between a cold long winter’s night and a glorious summer evening. You can get a lot done with a few more rooster steps. Grandma Einck’s insight has come to mind many times in my adult life. When folks ask, “How did Seed Savers Exchange get started?” and “How did we get to where we are today?” I tell them that it certainly didn’t happen all at once, but it did happen with the certainty of a rooster’s step. I am especially reminded of this when I see the Seed Savers Exchange Yearbook being compiled around this time of year. Our first six-page seed listing in 1979 was so small we printed our 29 members’ seed listings along with their letters in their entirety. The next year our group had grown to 142 and we printed the seventeen-page booklet on a hand-cranked mimeograph machine set up in an unheated back bedroom of our farmhouse. Today our members list more than 12,000 varieties in a 500 page book and we send it to more than 13,000 members. We also organize the listings for easy online access at exchange.seedsavers.org. Amazing to think of the growth in all areas of Seed Savers Exchange that has transpired with 40 years of roosters steps. Solutions to problems like genetic diversity don’t have to all be complicated or large; they can be as bold or as small as you like. Just one simple act can make a difference. Plant a seed, save a seed, support your local farmers market, CSA or community gardens, and simply ask your grocer or restaurant about where your food comes from. These small acts, added together, will make a difference. Small is underestimated, small is a beginning; small can make an important contribution to your planet and family, even something as small as a rooster’s step. Diane Ott Whealy is Co-Founder and Vice President of Seed Savers Exchange, the nation's leading non-profit seed saving organization. She wrote Gathering: Memoir of a Seed Saver to chronicle the organization's humble beginnings and growth into a respected leader in the grassroots movement to preserve our agricultural heritage. Join Seed Savers Exchange and gain access to the world's largest seed exchange. Our non-profit mission is to conserve and promote America’s culturally diverse but endangered garden and food crop heritage for future generations by collecting, growing, and sharing heirloom seeds and plants. Our most comprehensive workshop available, the Seed Saving School combines early-morning classroom lectures with hours of hands-on activities out in the field. Students have the rare opportunity to experience seed saving from start to finish: garden planning, plant isolation, hand-pollination, seed harvesting, seed cleaning, storage and seed sharing. Seed Savers Exchange (SSE) is proud to provide a new tool to help seed savers and gardeners keep the diversity of our garden heritage in the hands of many: an online seed exchange. In my role as an inventory technician for the Preservation Collection at Heritage Farm, I encounter the mundane and meaningful in almost equal parts. There’s no reliable rhythm to it. Some days are complete numbers-data tedium, while others are full of gratifying meaning. My work over the past few weeks has been leaning heavily (in a good way) toward the gratifyingly meaningful. 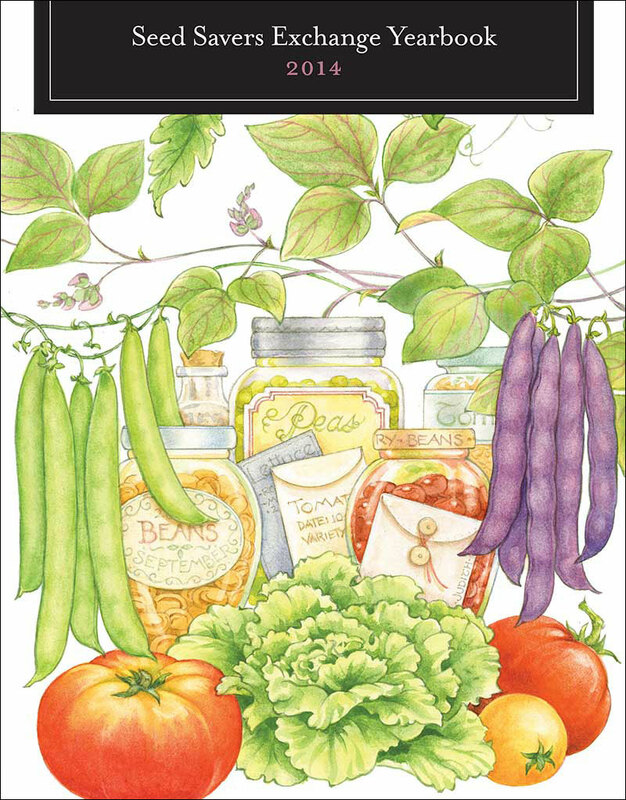 We have in just the past week received at Heritage Farm a large seed collection comprising just over two hundred bean varieties. This collection came to us from Mary Ann Fox, longtime listed member of Seed Savers Exchange from Shelbyville, Indiana, who died this past February at the age of 71. Mary Ann’s relatives, realizing the worth and importance of the collection and having to confront its monumental scope, were especially anxious to identify someone who could not only take the mass of seed off their hands, but who could also find eager stewards of Mary Ann’s seed-saving legacy. Enter Jim Kelly, SSE member and friend to Mary Ann. Not only did Jim find a temporary storage location for the collection and move the countless plastic seed-filled bottles to the location, he also began imagining ways in which the collection could be shared among seed savers. Eventually Jim contacted Heritage Farm to find out if there were a way the staff here could collaborate and assist. Together, we came up with a plan to distribute Mary Ann’s seed collection at the Seed Savers Exchange 2013 Conference and Campout. Would you like to celebrate and honor Mary Ann’s seed-saving legacy right in your own garden? Will you be attending the July 2013 Conference and Campout? Look for the tent with racks of beautiful bean seeds in clear plastic bottles. I’ll be there with a collection catalog to help you choose the two or three (or four or more!) varieties that you want to take home to your garden. Or just come by to meet and talk with me and other seed savers. There will be great conversations about the ways in which we have all benefited from past seed savers, and you might even be inspired to get more actively involved in seed saving yourself. See you there! SSE member Lucina Cress once told Diane Ott Whealy, "An elderly lady grew these peppers in Ohio and passed them on to me. The chocolate is still my favorite, always so mild and sweet and all the plants would produce early and kept coming on till frost." Lucina had been making the stuffed peppers for more than a decade. "I think I first listed the pepper seed in the 1981 Seed Savers Exchange [Yearbook]. I always offered to send the recipe for stuffing and canning with the pepper seed. Each year our branch of the hospital auxiliary stuffed miniature peppers for the hospital bazaar. We canned over seven hundred jars some years and we were sold out by 11 a.m."
Shred cabbage fine (SSE staff recommend the 'Early Jersey Wakefield cabbage'). For each 3 quarts of cabbage, add 2 1/2 teaspoons salt and let stand for 20 minutes. Squeeze the liquid off cabbage and discard. Pour over peppers in jars and seal. Process in hot water bath for 15 minutes. Order seeds for Miniature Chocolate, Miniature Red, and Miniature Yellow Bell Peppers in our online store! Taken from SSE co-founder Diane Ott Whealy's new book, Gathering: Memoir of a Seed Saver. These days, speaking of a “mailbox” might bring about images of our virtual mailboxes, not the charming metal containers at the end of our driveways. When Seed Savers Exchange began in the pre social media days of 1975, our members were older and living in rural parts of the country. They relied on these physical metal boxes to not only exchange hand-written letters but heirloom seeds as well. This unique club of seed savers referred to each other as “mailbox friends.” This week our 2013 Yearbook will be mailed out to more than 10,000 members—the 38th year in a row—to continue facilitating this connection between seed saving brethren. This Yearbook might well represent the largest private index of seed varieties in the United States. While it is always a considerable challenge to compile the listings of more than 19,000 varieties from nearly 700 seed savers each year, one of the fun experiences is reading the many descriptions of varieties offered. Sarah said, “Listen to the history of the ‘Doloff’ bean.” First grown by Roy Dolloff in Vermont, he gave it to Hattie Gray who remembered walking with her mother to Burke Hollow and back to get the seed from him when she was a girl in the 1920’s. 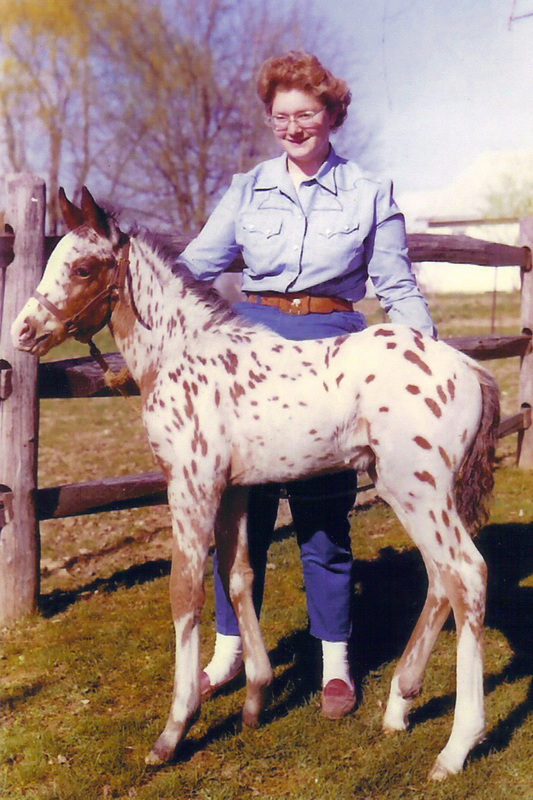 Hattie grew the seed for 60 years and gave it to Leigh Hurley who listed it in 1986. Today, 27 years later, five members are still listing the ‘Dollof’ bean. Those hand-written letters are treasures which support Seed Savers Exchange’s belief that every seed has a story to tell. Whether you choose to utilize the yearbook as it always has been—through the print copy coming to your mailbox at the end of the driveway, or through the recently offered electronic version on our website, consider the people who have chosen to carry these varieties forward. Along with a check, send them a note of thanks in appreciation for preserving our garden heritage. No matter the form of mailbox you use, we are thrilled to see Seed Savers Exchange members utilizing the Yearbook not only as a way to acquire and cultivate seeds, but relationships as well. As one member proudly told us this year, “In 2008 I contacted a SSE member in my area and we have been great friends ever since." Mailbox friends. To learn more about the Yearbook and the additional benefits of becoming a SSE member, visit www.seedsavers.org/Membership/.